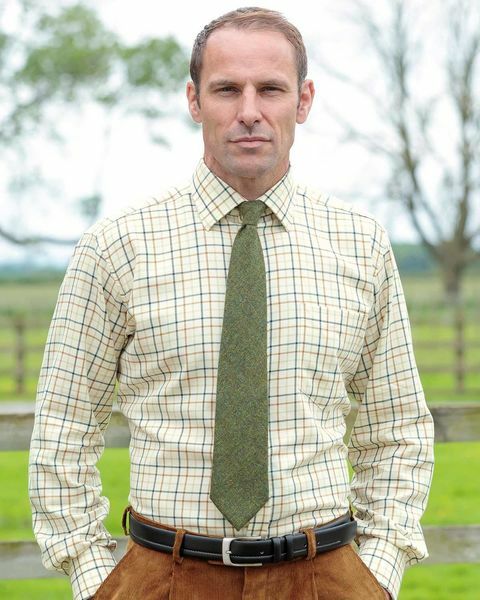 Mens Tattersall Check Shirt in Green, Blue and Orange.Single Cuff. Cut from 80% cotton and 20% wool mix. Single cuff can be worn with or without a tie. Generously sized with long shirt tails, classic collar and single breast pocket.